Designer David Lau was inspired by the versatility and dimensions of a Rubik's Cube and set out to create the 4-in-1 Twist clock for MoMA that goes beyond telling time. The table clock consists of a cube, which has a digital display on one side. Time, alarm, date, and temperature (in Celsius and Fahrenheit) functions allow to be simply changed by twisting the top. 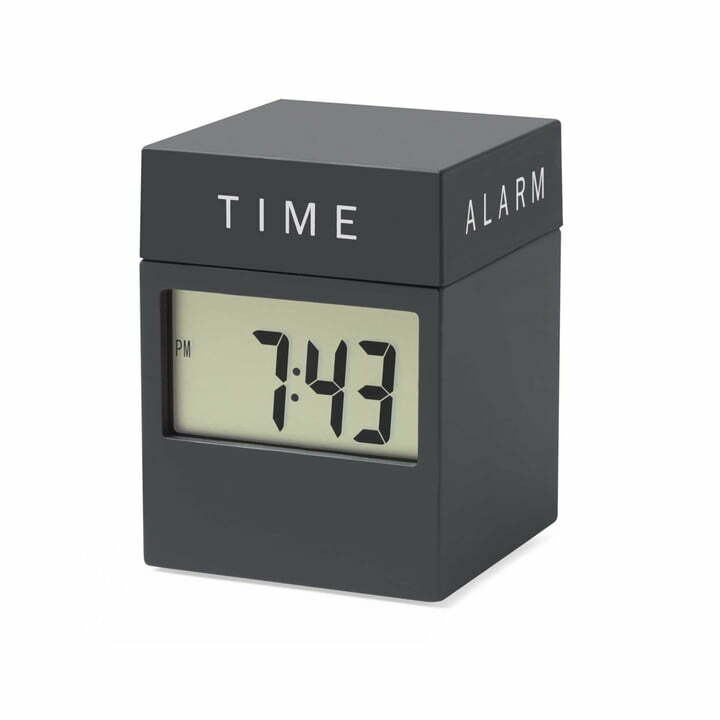 The alarm has a five-minute snooze function and the time can be set in a 12- or 24-hour rhythm. Amount of batteries 3 pcs.